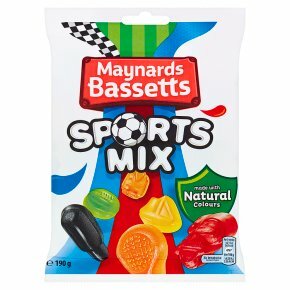 Delicious super chewy fruit-flavoured sweets, shaped in a variety of classic sports gear. From tennis racquets and cricket bats to sailing boats and rugby balls, these sporty pieces are made with only natural colours. This 190g bag is perfect for sharing with friends and family.